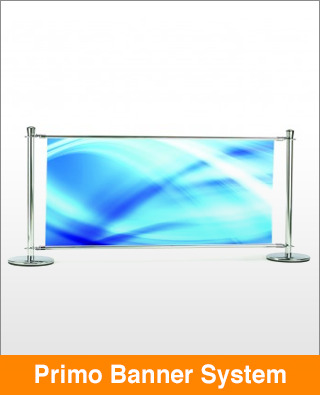 This premium café banner system is the ultimate in barrier chic! High end design, prestigious chrome finish and sealed solid bases look good in any location. A perfect accompaniment for any café, bar, restaurant or hotel.